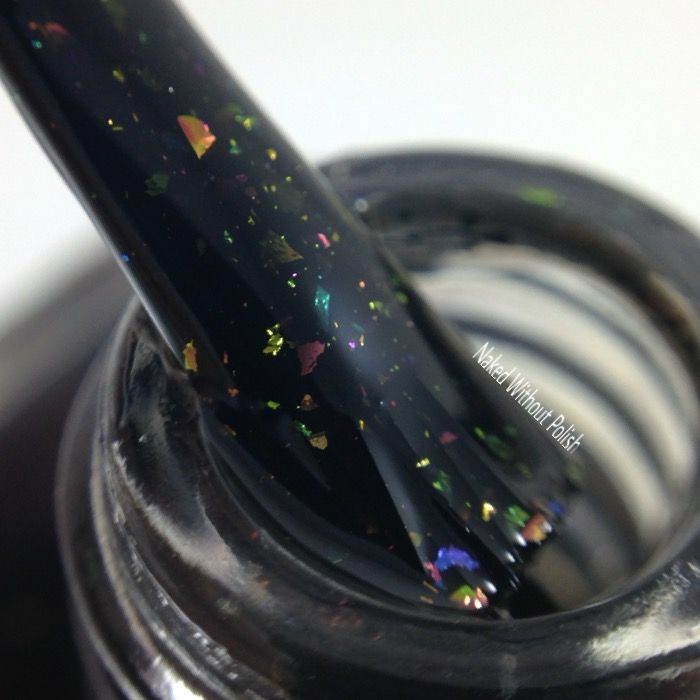 Ok, you guys, I've had these couple Top Shelf Lacquer beauties swatched for sometime, but I've been back locked with press samples. I had a tiny opening and just had to show these to you all. Now, don't get too mad at me...one of these was a group custom and is no longer available. However, if you go join the group now, they are currently working on deciding on a new group custom. Ok, enough of the babble. 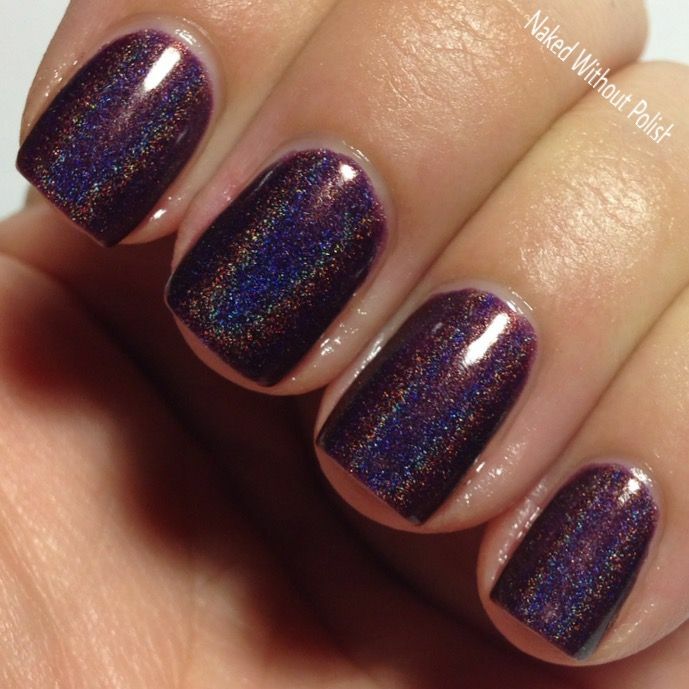 You came here for polish. Who am I to keep you from all the pretties?! 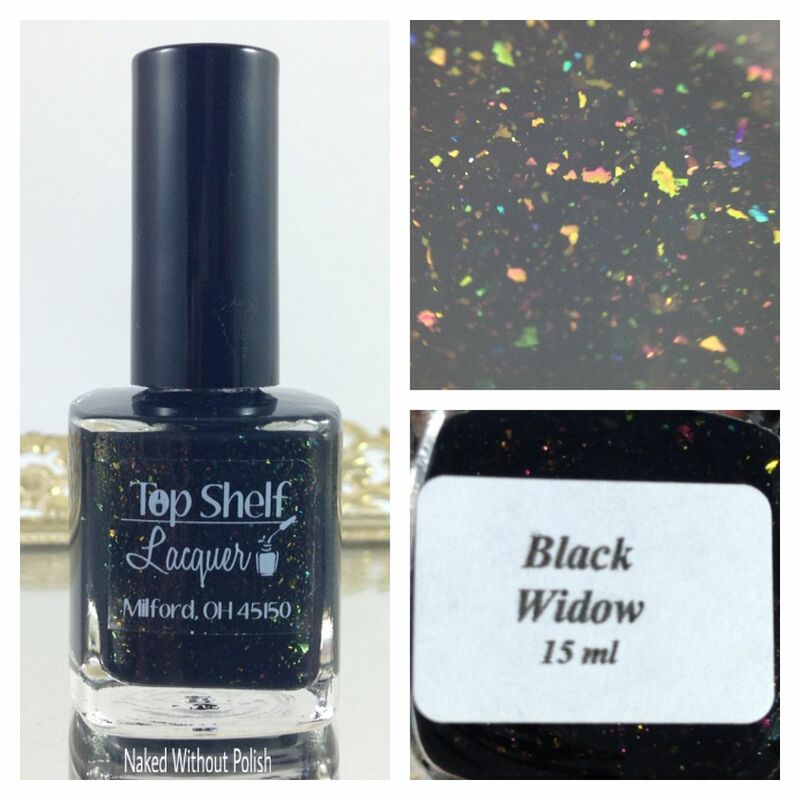 Black Widow is described as "a black cruelly with multiple colors of chrome flakes". 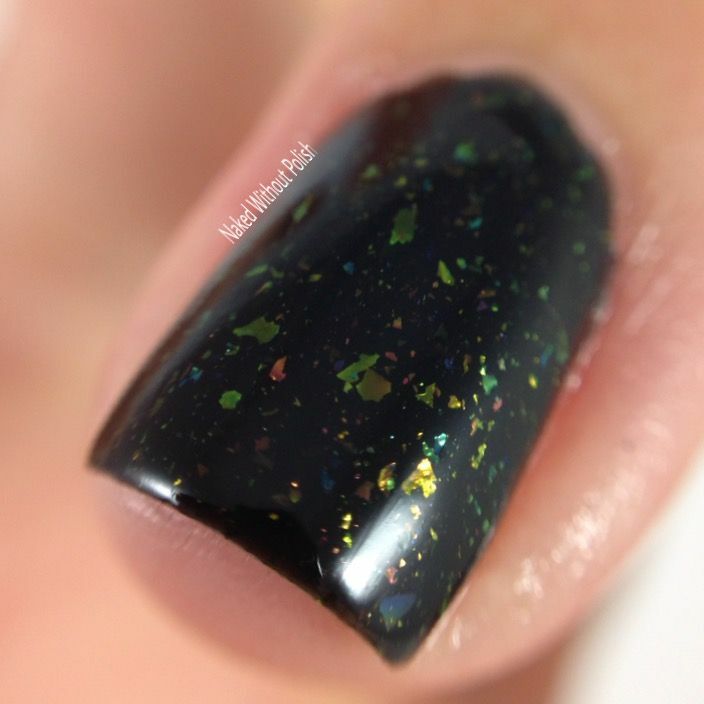 Shown is three thin coats of Black Widow. 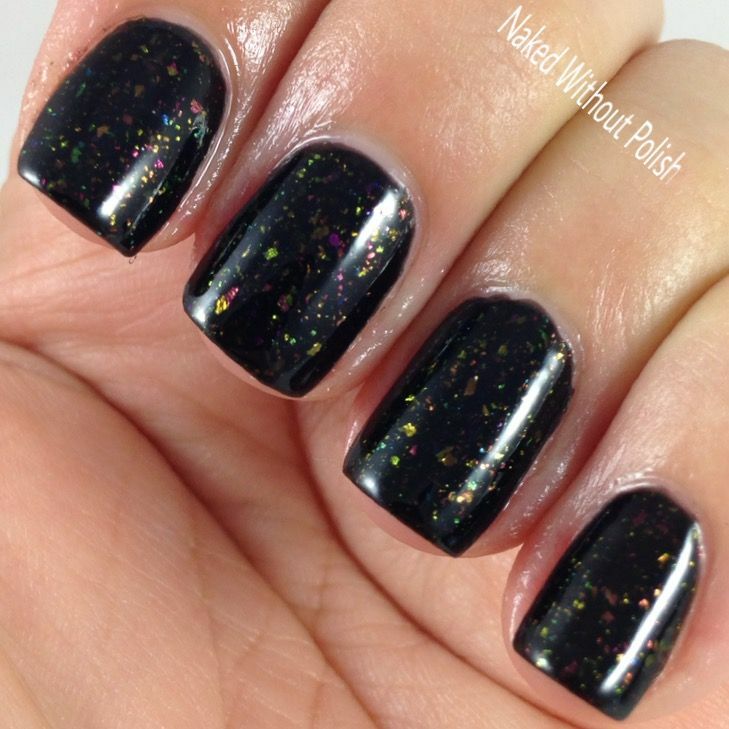 Black Widow is a bewitching black with an incredible formula. The UCC flakes scattered throughout make it positively mesmerizing. 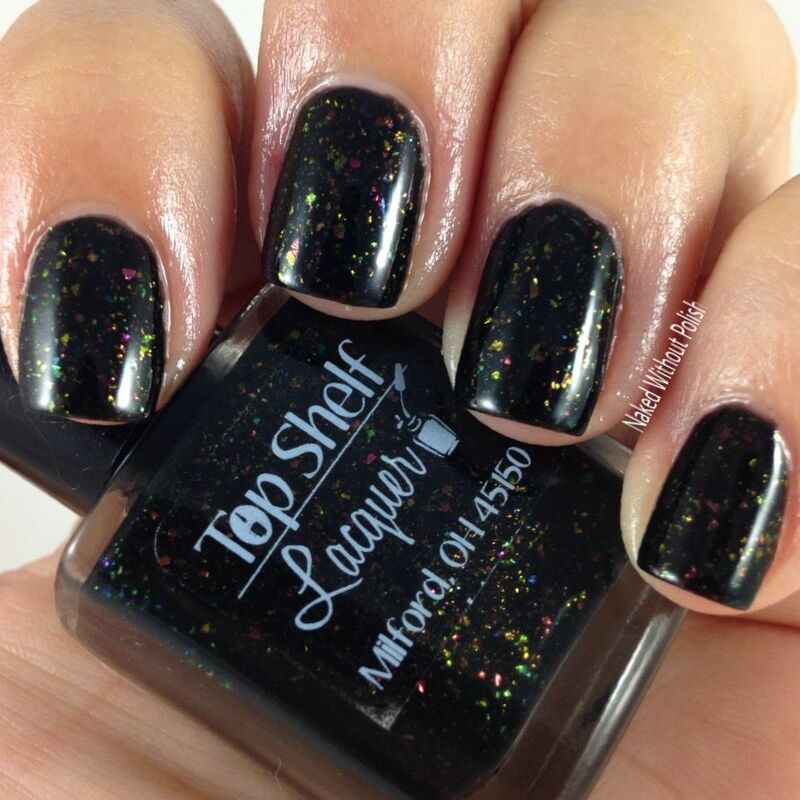 If you're a fan of a dark polish, you need it. 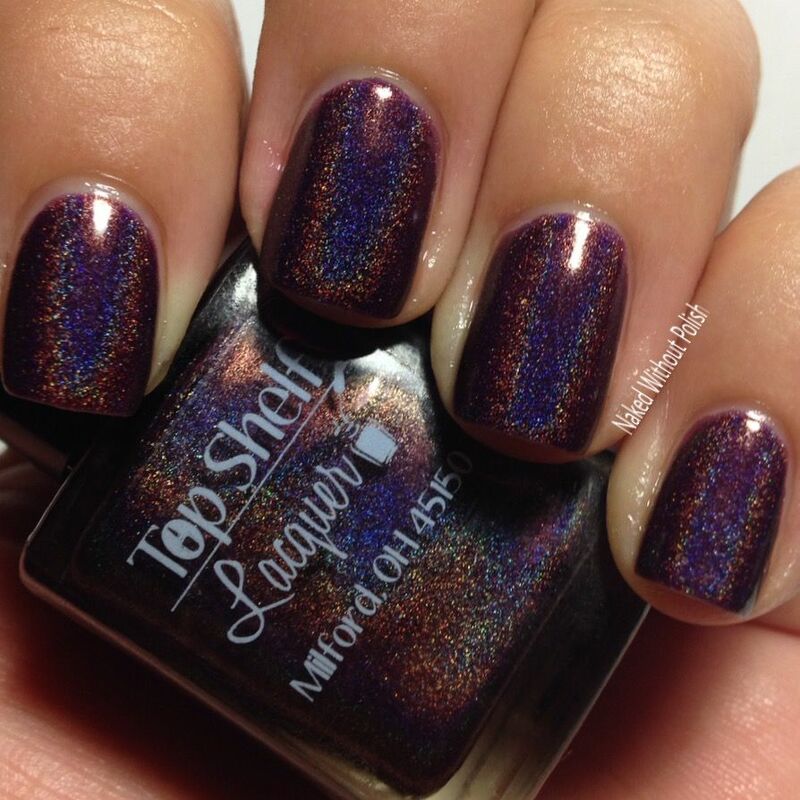 Black Cherry Cordial is a deep, blackened, maroon filled with linear holo. Shown is three thin coats of Black Cherry Cordial. 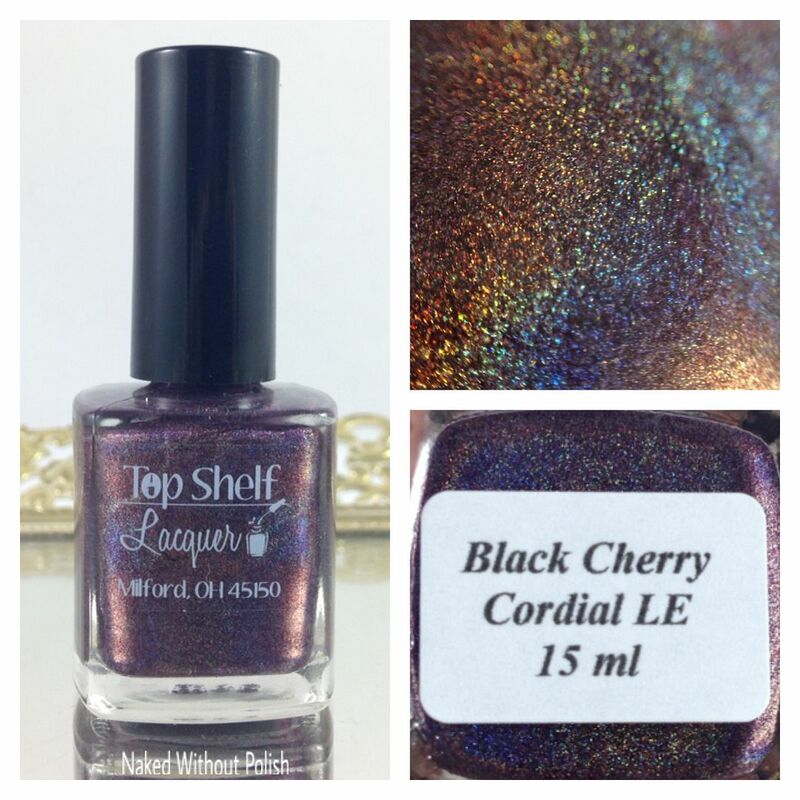 Black Cherry Cordial is the first group custom for Top Shelf Lacquer's fan group. It was designed and named by the group as a whole. 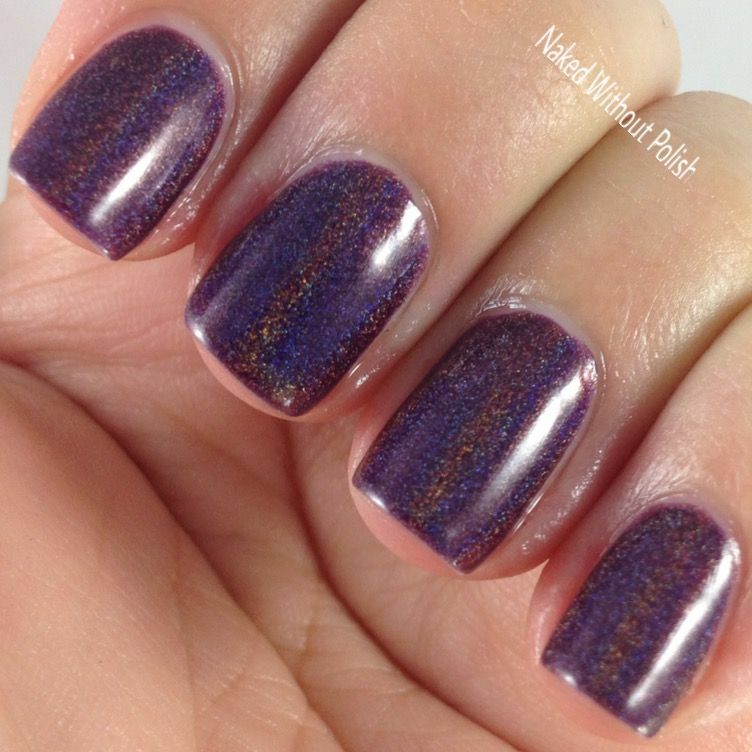 Amy did a phenomenal job with this beauty. If you missed out, I am so terribly sorry. 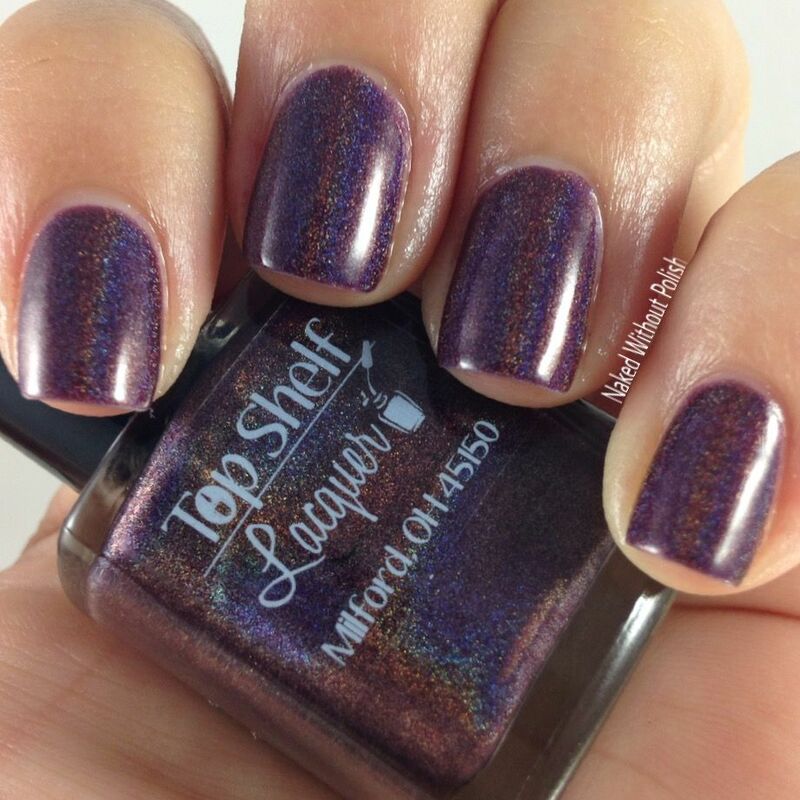 I love Top Shelf Lacquer! Everything I have received and purchased from her have been top quality and gorgeous. I truly can't say enough good things about her products. In addition to my purchase, she tossed in a couple new(er) products for me to try. 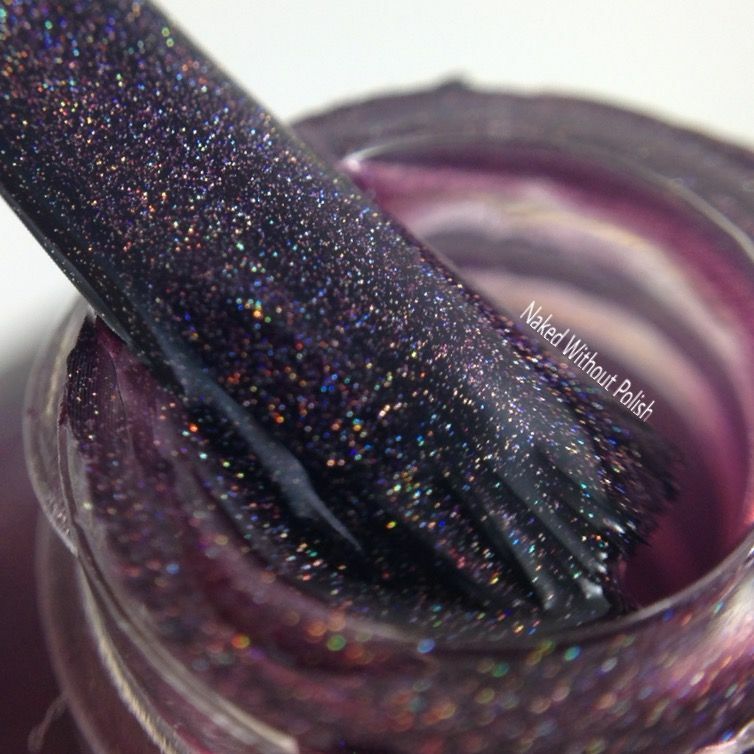 Quick Dry top coat is a-freaking-mazing!! 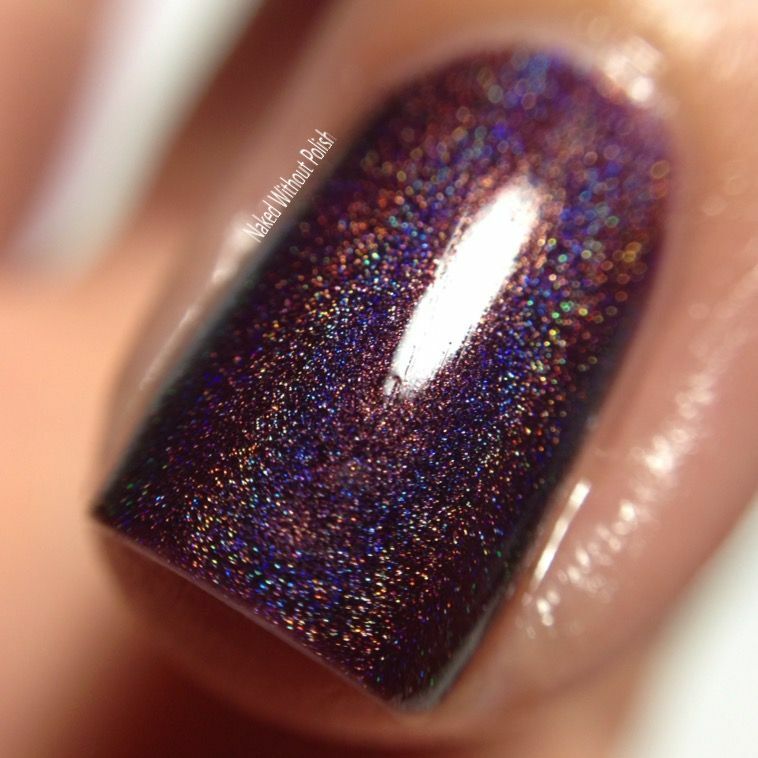 It slightly dulls holos, but only ever so slightly. 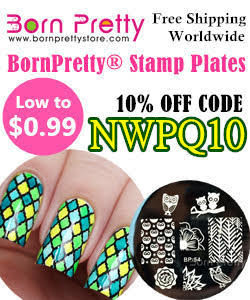 However, I have been using this while trying to build my confidence with nail art. I've already had to purchase a full sized bottle because it's that good! In layering or using vinyls, it dries quickly so you can work in a decent amount of time without having to wait hours in-between steps. 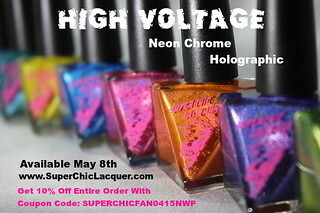 It is available for $4.25 (8mL) and $6.50 (15mL). Peach Scent cuticle oil is lovely. A wonderfully hydrating oil in a peach scent that is a soft version of the gummy peach rings. Not as strong of a scent as the actual candy though. I love the oil, I'm just not usually a fan of oils that come with a brush. That's the only bad thing I have to say about it and it's not that bad. It's strictly a preference. 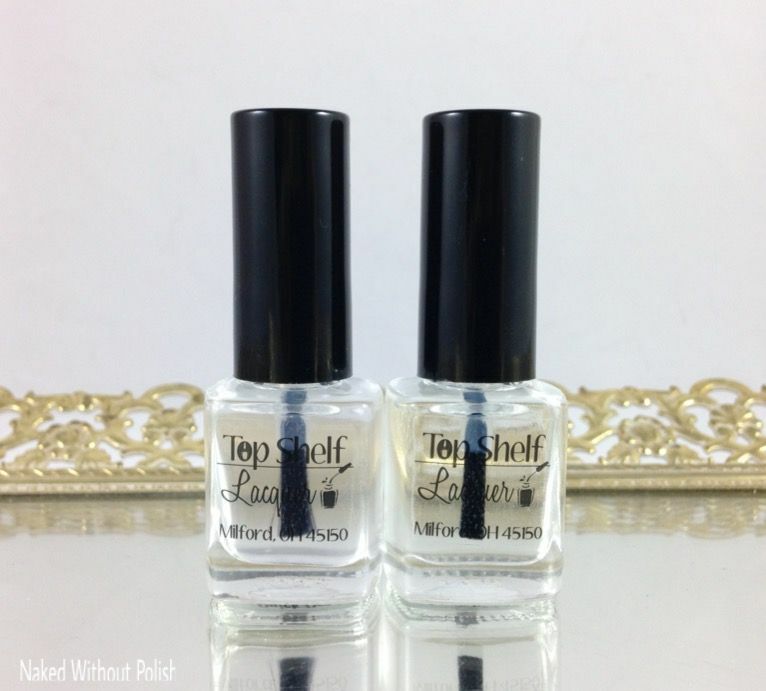 It is available for $4.25 (8mL) and $6.50 (15mL). 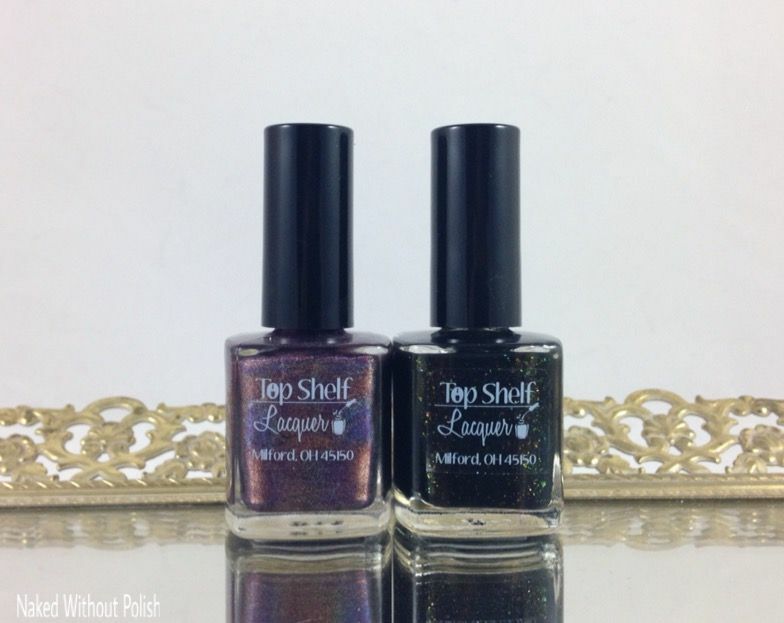 If you've yet to try Top Shelf Lacquer, I suggest you jump on this bandwagon ASAP. She is going places and you don't want to be left behind. 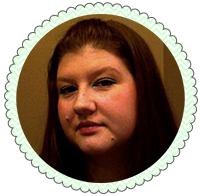 Like I said in the beginning, join her Facebook fan group so you can get in on the new group custom that is currently being chosen. Or, at the very least, so you can buy it when it's available.